Much of the Hartley Botanic range is designed to stand on a stone or brick base, and of course we provide you with full plans to build this base yourself or with the help of a builder. Once your base is constructed, you are ready to have your greenhouse frame delivered and its glazing installed – so why are brick-base greenhouses such a good option? 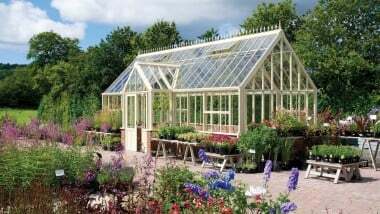 A solid and level base makes good sense for any greenhouse, and Hartley Botanic brick-base greenhouses will typically outlast the less robust structures you often see in gardens. The brick base does not necessarily need to extend far above ground level. However, some models include several layers of brickwork, to create a kind of modesty screen around the bottom of your glasshouse, and this semi-walled effect can be seen in many of our most popular greenhouses. With a low-level brick wall, your greenhouse gains an extra aesthetic effect, and you can keep tools and other supplies, as well as any ground-level plants, hidden from view. For new-build properties in particular, you have the opportunity to construct your brick base using materials that match your main home – helping your Hartley Botanic greenhouse to look like a truly permanent part of your property. 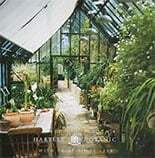 There are just a couple of extra things to bear in mind when planning to build a brick-base greenhouses in your garden. First of all, how big is your completed glasshouse going to be? For smaller structures, a single-skin brick base is adequate, whereas larger buildings may need a double-thickness wall for stability; the plans we provide will tell you which is best for you. You may also want to consider building out from the front of your greenhouse, to the height of the brickwork, and this creates an excellent opportunity to install extra cold frames and storage space. The Bespoke Glasshouse Canopy & Pergola, designed by Hartley Botanic, aims to reconnect people with nature.